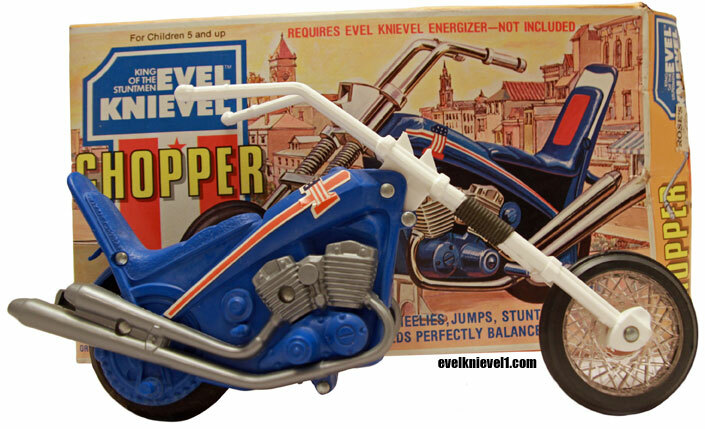 The Evel Knievel chopper bike was released by Ideal in 1975. 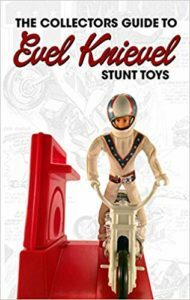 The toy based on Knievel’s life size Chopper. 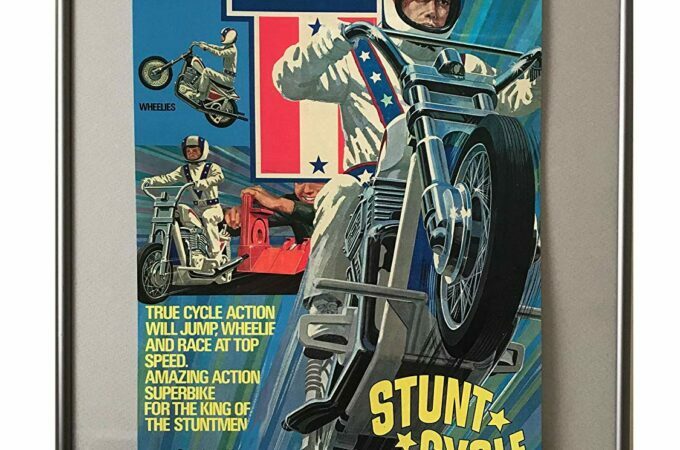 This bike had a long, flexible front fork and an upgraded plastic body, which made it stronger than the earlier Stunt Cycles. 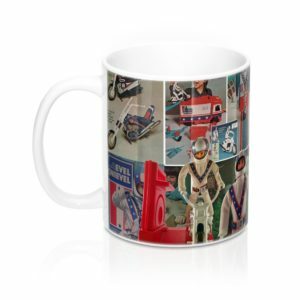 The body of the motorcycle was Blue. 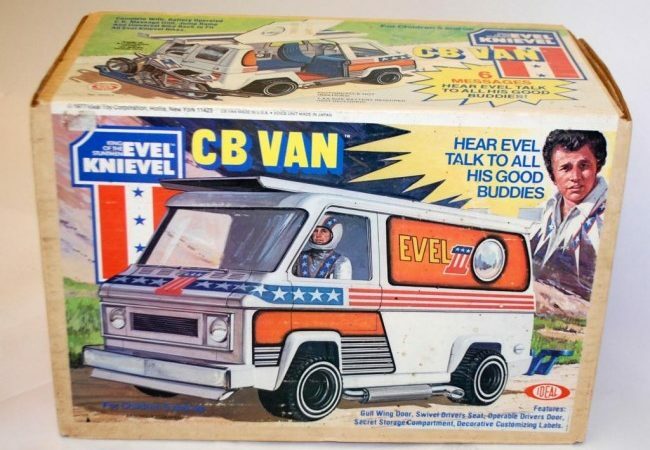 The 1975 issue did not include the Energizer or action figure. 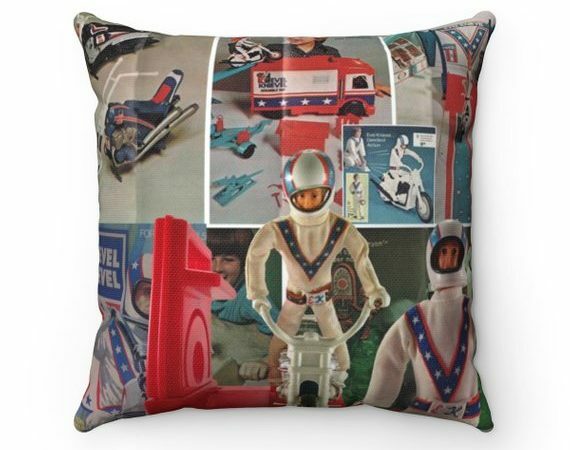 In 1976 Ideal issued a set with the Energizer and action figure after some complates from customers who apparently misuderstood that the Chopper did not include the normal accessories. The packaging changed and the box was larger than the first issue to accomidate the added accessories. 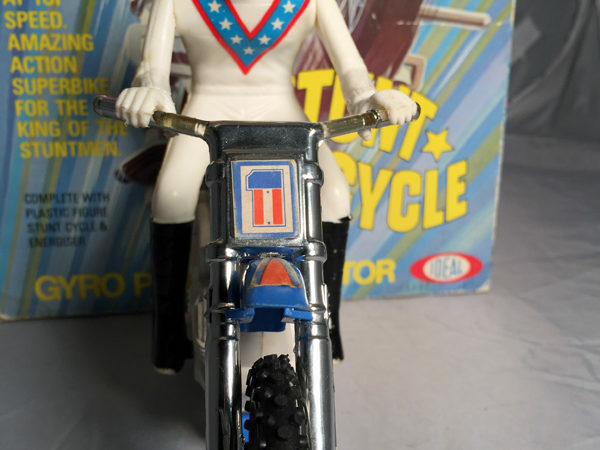 Small box sets are valued between $150and $250 in good condition while the large box sets with the Energizer and action figure are valued upwards of $400 in very good condition.